Messages of support including from the current and past Presidents of India and national level and Delhi government dignitaries. The Sakshi Gender Resource Centre was designated as the issuer of the new GoI Universal-ID: Smart Card (AADHAR Number), in the slums it covers. It is very important for residents that they enroll. From the GoI Website: Aadhar is an ID "linked to the resident's demographic and biometric information, which they can use to identify themselves anywhere in India, and to access a host of benefits and services." 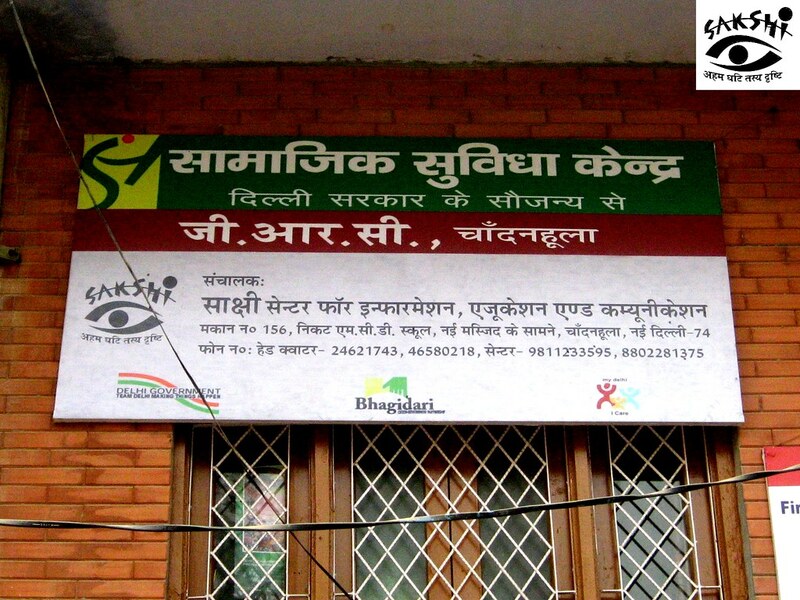 Sakshi is building awareness and enrolling residents who being uneducated would not have known about this otherwise. The Government has hundreds of programs for the upliftment of the poor and marginalized esp. women which have been only marginally effective because of poor delivery mechanism. To address this, the Govt's recent Mission Convergence mega-initiative seeks to leverage the strength of the best grassroots NGOs. The Government of Delhi undertook a one-time exhaustive process of adjudging and categorizing the many thousands of NGO's operating in the field of Education. Sakshi was adjudged to be "amongst the best" and the Secretary of Education, Ms. Rina Ray, wrote to us notifying us of the accomplishment, congratulating us on "achieving this unique position" and inviting further proposals from us for projects. Sakshi was honored to host Ms. Melanne Verveer, US Global Ambassador for Women's Issues and member of the contingent of US Secretary of State Ms. Hillary Clinton on her India visit. 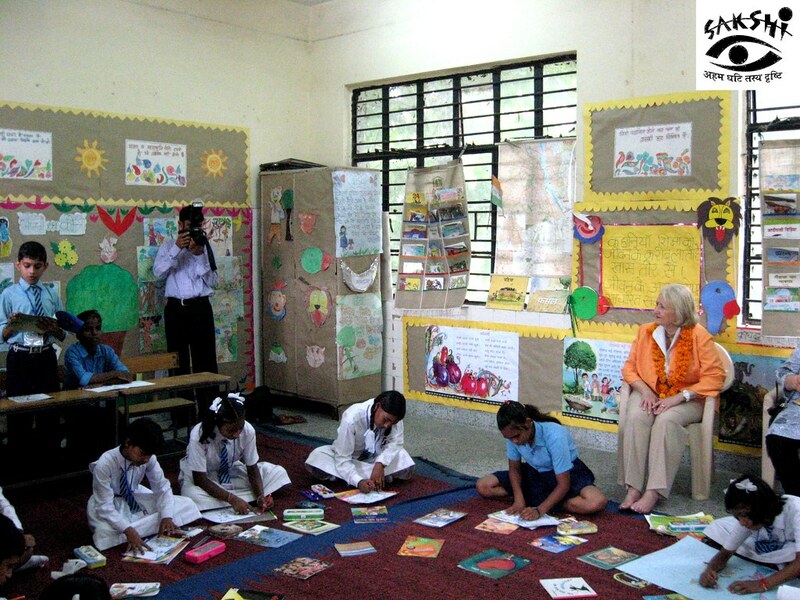 Ms. Verveer heard the children read, recite and sing with great delight. The children were equally happy to display their talents before such an appreciative audience. Ms. Verveer appreciated the work Sakshi was doing in the Library Program where we build libraries in slum schools and the Girls Education Project where we support needy girls with financial assistance and educational coaching till they graduate. The Times Foundation requested Sakshi's participation in their "What can I give" summit, where the Chief Guest was former President of India, APJ Abdul Kalam, known for his love of children and advocacy of education. Some of Sakshi's youngest children gave a recitation on the Calendar and their elder brethren performed a play on Girls Education. The audience was profusely appreciative. The President specially requested his photographer to capture the moment. His smile and the happiness of the children as they surround him says it all. Princess Alexandra of Denmark visited Sakshi on behalf of Danida, one of our project partners. During her visit, the Princess presented prizes to children who had topped their classes. With her lovely smile and genuineness, the Princess was grace and elegance personified. The children were delighted to meet a beautiful guest so interested in their work and their arts and crafts. It was a lovely day when beauty and elegance met industry and achievement. We thank Princess Alexandra for creating happy memories for our children. In town for the Cricket World Cup being held in India, the Netherlands team expressed a desire to do something both productive and interesting in their time off. Sakshi was happy to arrange for a Cricket Day with our students. The Dutch were impressed with the work Sakshi is doing, expressing a wish to help in some way. They then indulged our little ones with many hours of bat and ball. Dr. Mridula Tandon, President, Sakshi, interviewed by Doordarshan, India's national TV channel on "Women's Issues and Sexual Harassment"
Dr. Mridula Tandon, President, Sakshi, interviewed by National Institute of Mass Communication, New Delhi on "Vocational Training of Girls"
Sakshi VP interviewed by Amity University students for Women's Safety and Empowerment Film, Feb 10 and March 1, 2013. More. 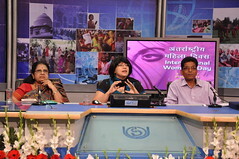 Sakshi VP speaks on "Value-Based Education" for live IGNOU Panel on Doordarshan for International Women's Day, March 8, 2013. More. Sakshi participates in Harvard Serves Global Month of Service. Harvard Serves Website. Sakshi VP conducts Virtual Workshop on "Sustainable Development" for Taylor's College, Malaysia, April 27, 2013. More. Hard Rock Book Drive for the Sakshi NGO Library Program, May 6, 2013 onwards. Sakshi President Dr. Mridula Tandon felicitated by Jan Kalyan Parivartan Samiti for her lifetime of social work in Poverty Alleviation and Women's Empowerment, June 7, 2013. More.